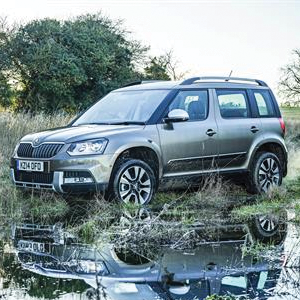 The ŠKODA Yeti and second-generation Superb are continuing to bring home the silverware – proving that great new ŠKODAs make fantastic used ones. The multi-award-winning models have just been named as winners once again in the annual Diesel Car Used Car Top 50 awards – taking the Best Used Compact SUV and Best Used Estate titles. The Diesel Car Used Car Top 50 focussed on cars more than three years old, and took into account value, economy, running costs and practicality. The Yeti (2009 – 2017) was ranked at number 4 in the overall chart and was the highest placed compact SUV in the entire list. The Yeti’s latest award adds to an impressive list of industry accolades that characterised the SUV’s eight-year production run. It has won 26 major media awards, making it one the most decorated cars in ŠKODA’s history. Accompanying the Yeti on the Diesel Car success trail, the second-generation Superb (produced between 2009 – 2015) also proved irresistible to the judging panel. It was named Best Estate car – seeing off a range of premium models in the process. A range of Approved Used ŠKODA models – including the award-winning Yeti and Superb – can be found at ŠKODA.co.uk. All cars up to 6 years old/ 72,000 miles are covered by a 12 month Approved Used warranty and come with a 30 day/1,000 mile exchange option and 12 months roadside assistance.